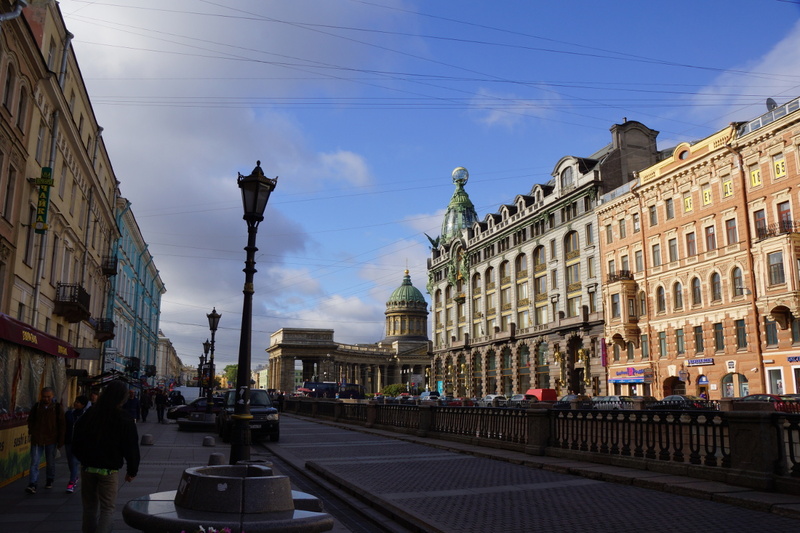 Much of Saint Petersburg looks very European, as Peter the Great had the city modeled after European cities that he'd visited. But, not everything looks European... right across the street from our hotel was the Church of the Savior on Spilled Blood. 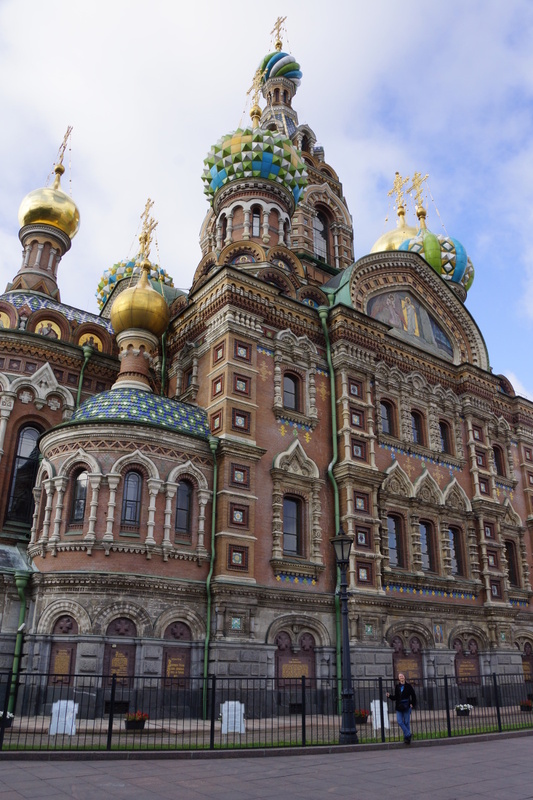 It was built in the late 19th century to commemmorate Tsar Alexander II, on the location where he was assassinated. Ace in front of the church. 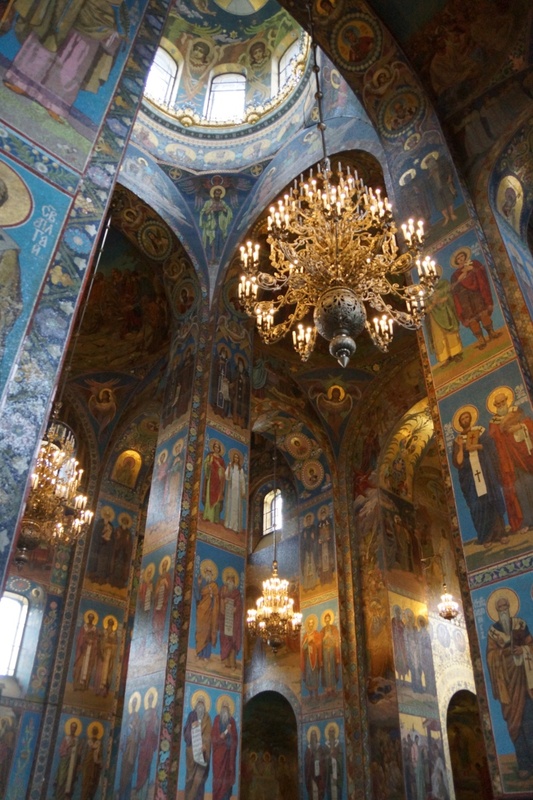 The inside of the church is richly decorated... entirely in mosaics. I was not able to figure out the function of this small building across the street from the church, but the dome is quite pretty. There's something about the quality of the light this far north which is hard to explain. This photo isn't HDR or color-enhanced, this is pretty much what it looked like in real life. 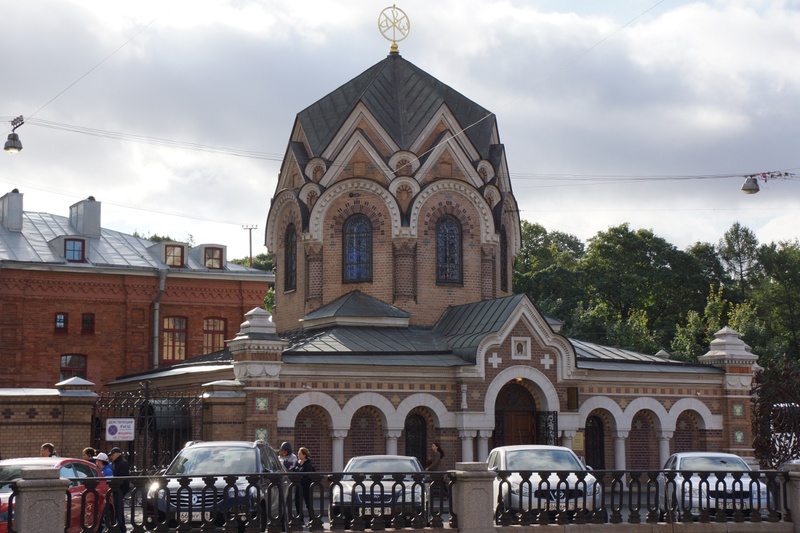 The semicircle in the center of the picture belongs to the Kazan Cathedral, modeled after St. Peter's Basilica (the Vatican) in Rome. 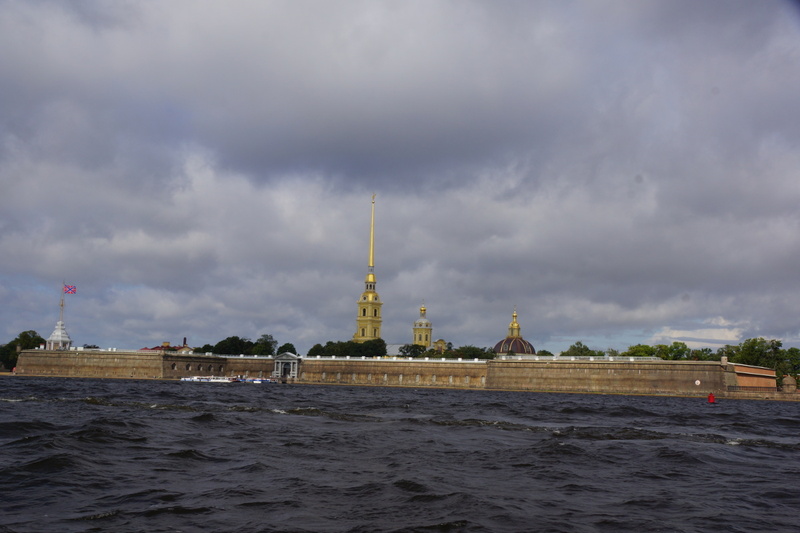 The Peter and Paul fortress - built on Hare Island in 1703 to defend Saint Petersburg during the war with Sweden, but never put to the test until the February Revolution of 1917. Eric inspecting the walls of the fortress, speculating about how well the fortress would have withstood an invasion in the time of its construction. 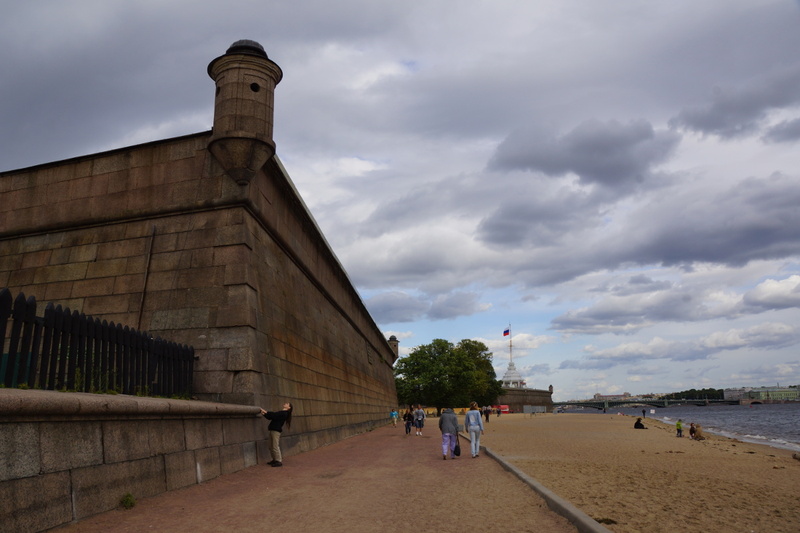 The granite exterior is a facade added to the river-facing side of the fortress by Catharine the Great, who preferred it to the red brick of the underlying fortress when viewing it from the Hermitage, where she spent much of her time. 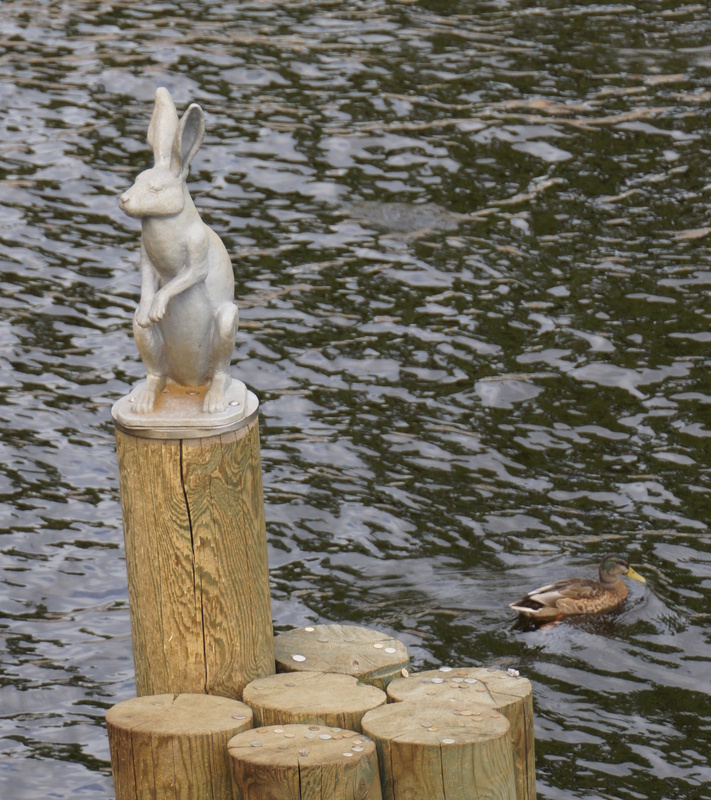 The hare commemorates the former inhabitants of Hare Island. Local legend has it that one of the hares escaped during one of Saint Petersburg's many floods by jumping into Peter the Great's boot. The height of major floods in the area are marked on the pylon below the hare. Right now the hare seems to be quite lucky indeed, as the recipient of small change thrown by visitors. The Kunstkammer, comissioned to hold the artifacts Peter the Great brought back from his travels around the world. 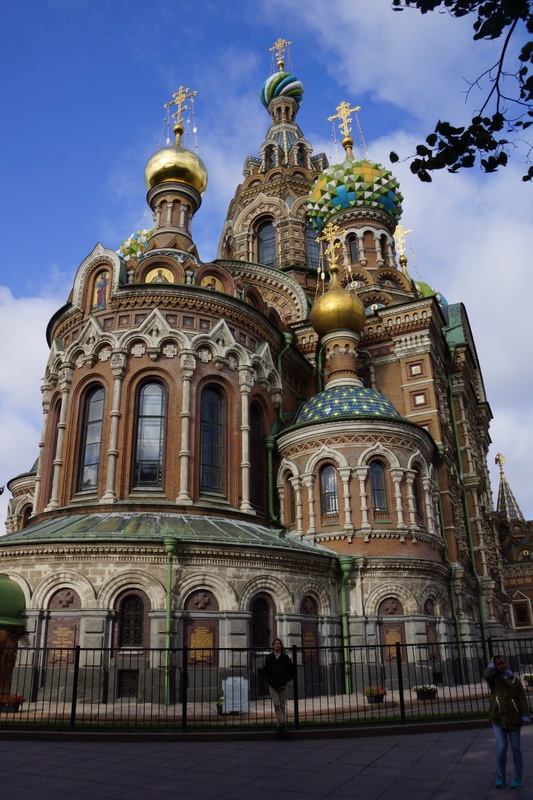 This building holds one of the main reasons why we chose to visit Saint Petersburg - when visiting the Netherlands in 1717 he obtained a considerable part of the collection of Frederik Ruysch. Ruysch was an anatomist with a particular talent for preserving human specimens. A large part of the collection consists of stillborn infants with congenital malformations. It was said that specimens prepared by Ruysch appeared alive and sleeping. The specimens were used to educate the populace, demonstrating that such deformaties were a natural occurance and followed predictable patterns. 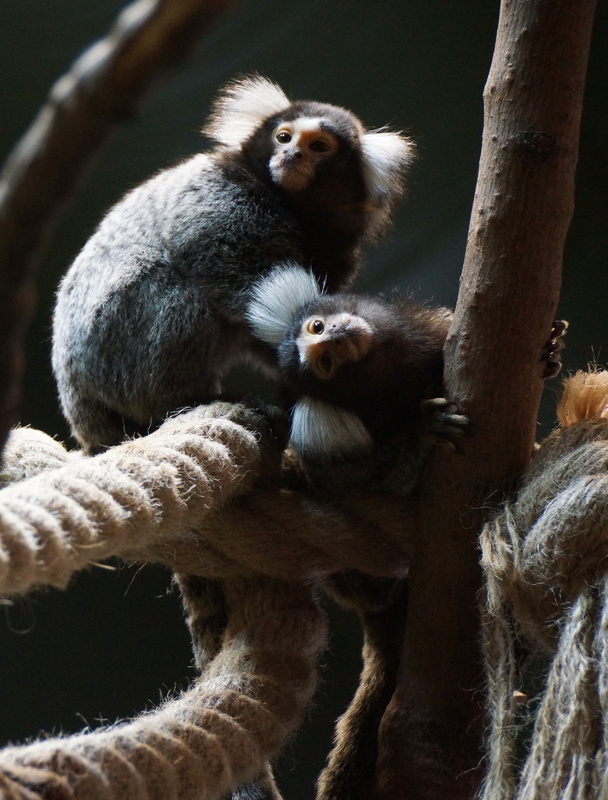 The collection demonstrates parallel abnormalities in animals and humans, and the same abnormality in different levels of severity. The other half of this collection is housed in the Vrolik museum at the hospital where I work. 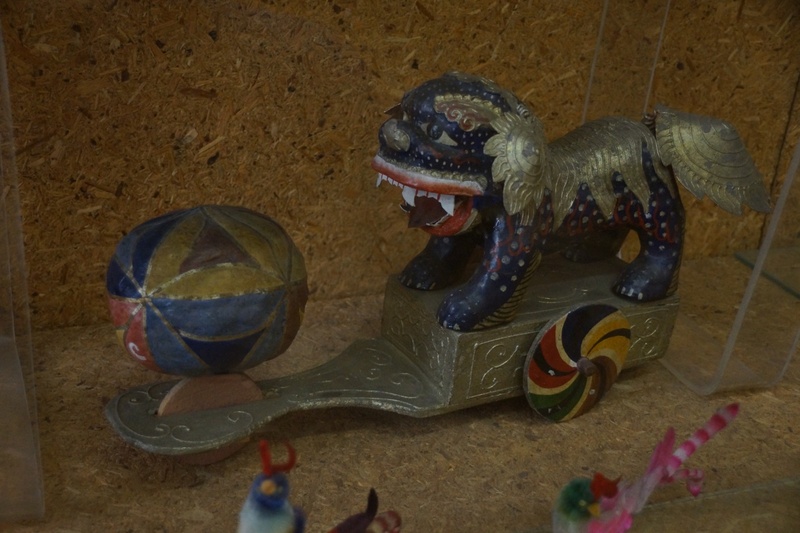 Photographs of the human specimens are not allowed, but there were a number of other unusual items, including this toy dog with its toy ball. The cabinet had no labels, so I don't know when or where it is from, though. 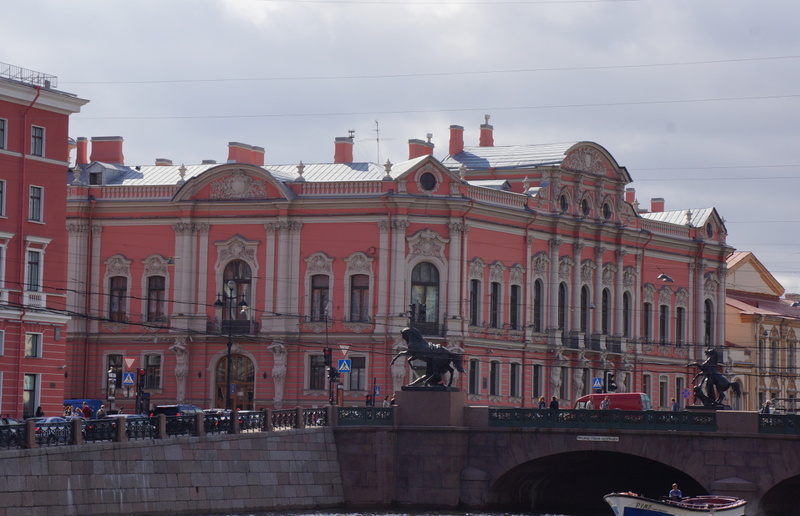 The pink building is the Belosselsky-Belozersky Palace, built in 1747 and renovanted in 1847 to acquire its current look. Two of the four statues of The Horse Tamers are on Anichkov Bridge in the foreground. 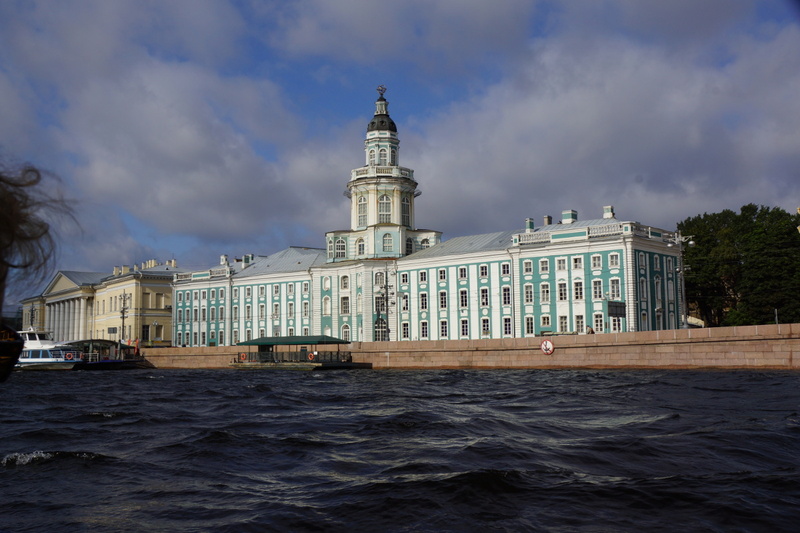 They are said to represent the conquest of reason over nature; a plausible theme in the cold and flood-prone land of Saint Petersburg. 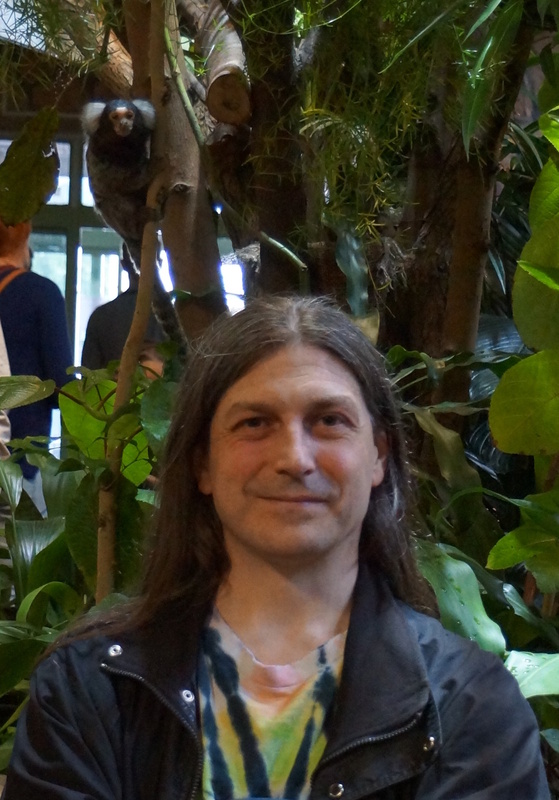 We had good weather during our visit, so we spent a day at the zoo. 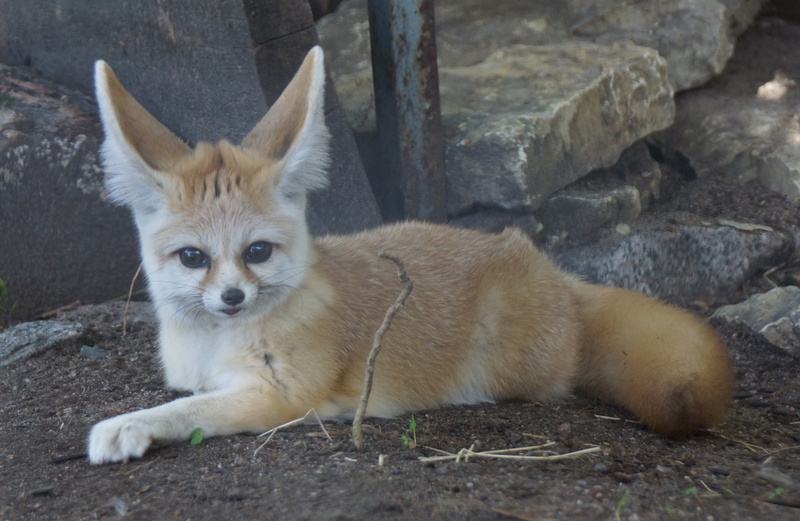 The fennec fox is certainly on the top 10 list for world's cutest animal. These little guys are giving them some competition though. 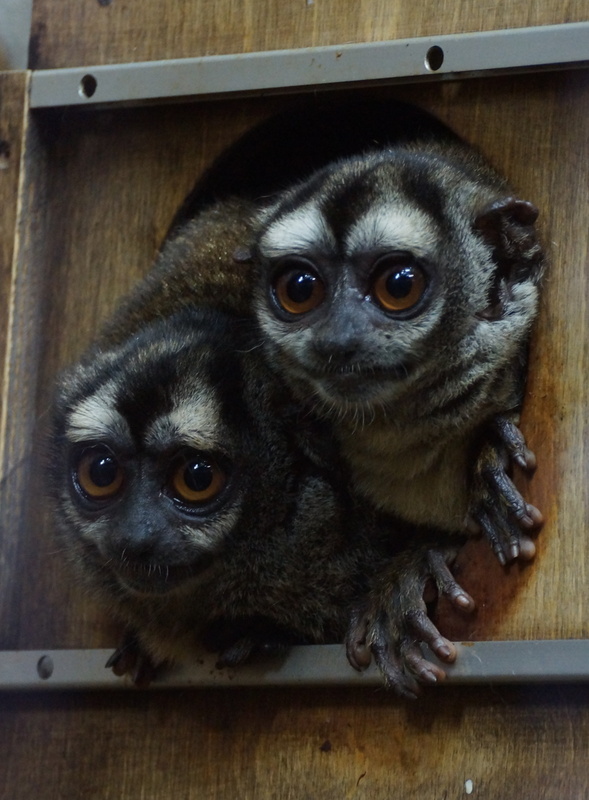 I think these are a type of loris, although I haven't been able to find one that looks exactly like these. Eric is trying to entice this little monk to come climb on his hair. This one was VERY curious about my zoom lens. 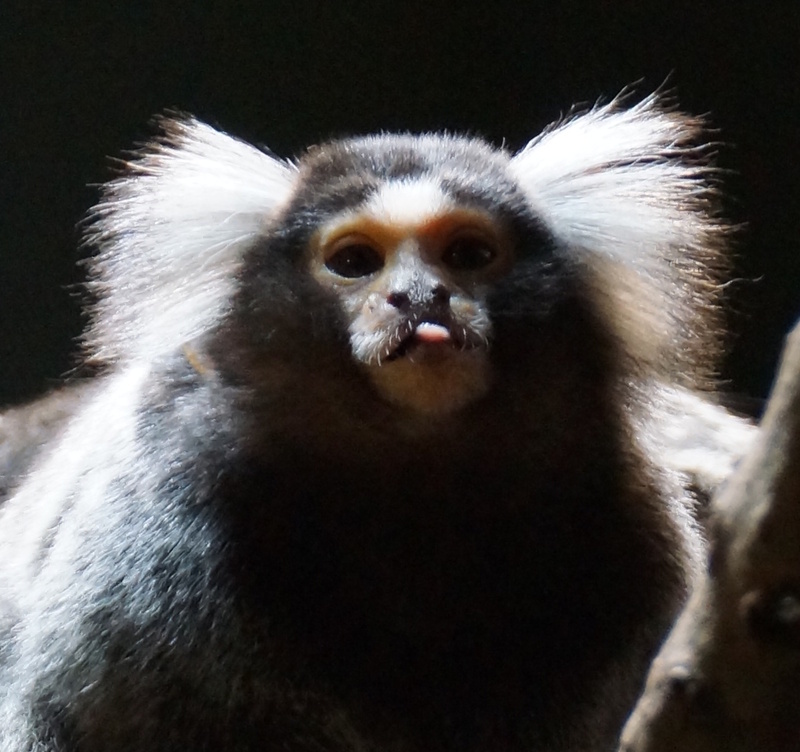 An exotic animal from the Americas. 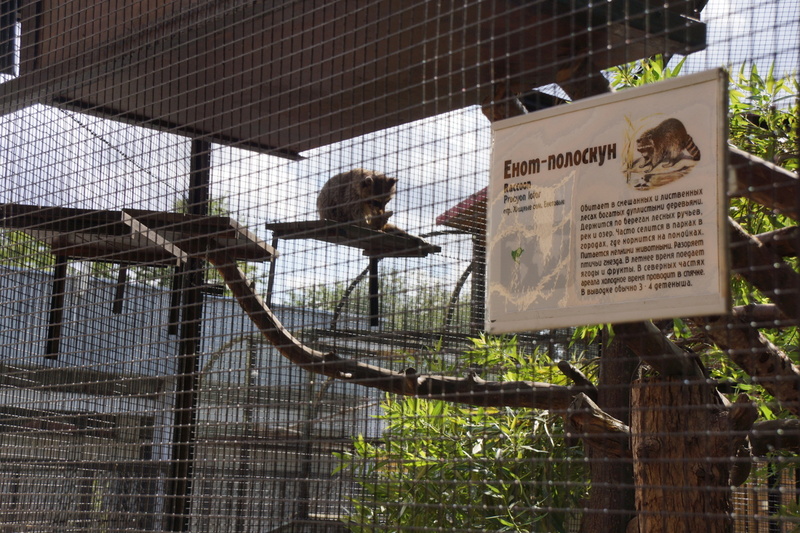 This is the oldest zoo in Russia, founded in 1865. Like many old zoos, a lot of the enclosures are somewhat inadequate. 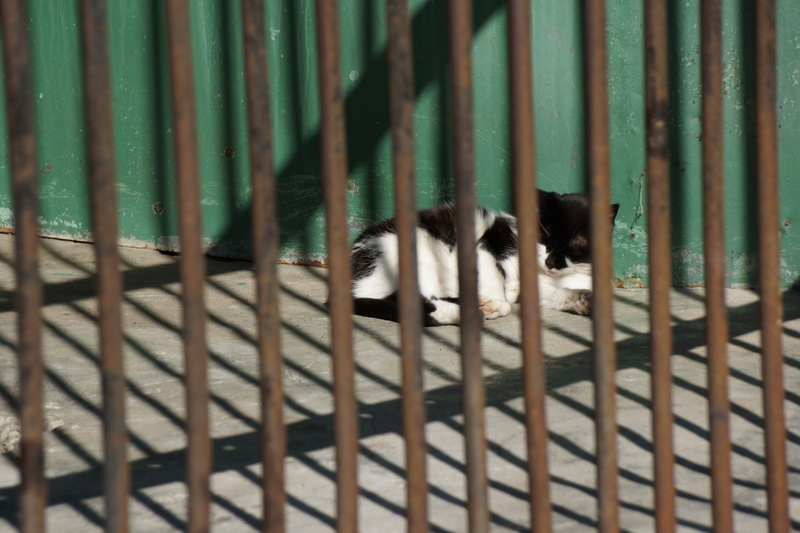 However, this particular enclosure seems to have met the approval of this particular cat. Like many old zoos, this one is also clearly in the process of an upgrade. What used to be multiple cages are now joined to make one bigger one, what used to be cages for lions or bears are now used for birds, and a couple areas of the zoo were closed for reconstruction. There was also evidence of the zoo keepers doing their best to provide environmental enrichment on a tight budget - many creative applications of soda bottles, and the animals' food put in places where it took a bit of thinking to get it. 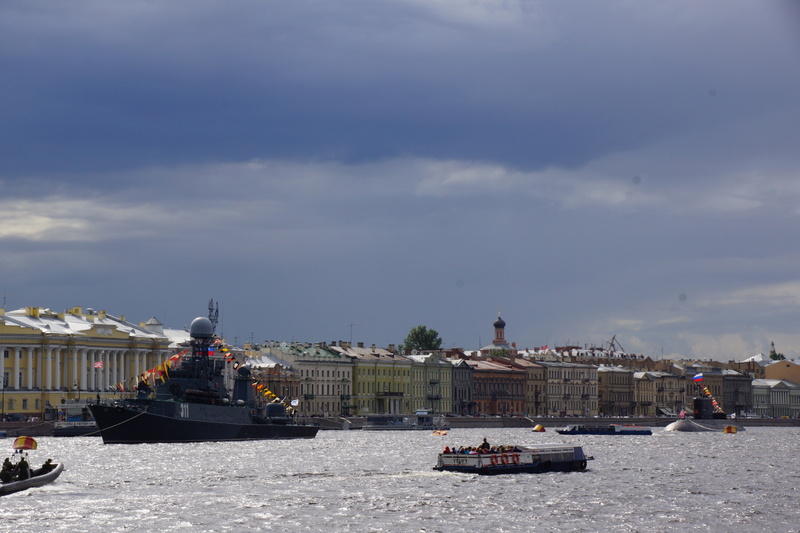 Sunlight on the Neva river. The 22nd of August is Flag Day in Russia, similar to the 4th of July in the US. Like in the US, this seemed to involve showing off some military equipment (although the sub might be a permanent resident - there's one you can tour somewhere in the city) and a big fireworks display at dusk. Unlike our fireworks, though, the display lasted about 5 to 10 minutes with volly after volly of 10 or more mortars at a time. The finale, rather than being the biggest and loudest part of the display, was a single very high mortar. 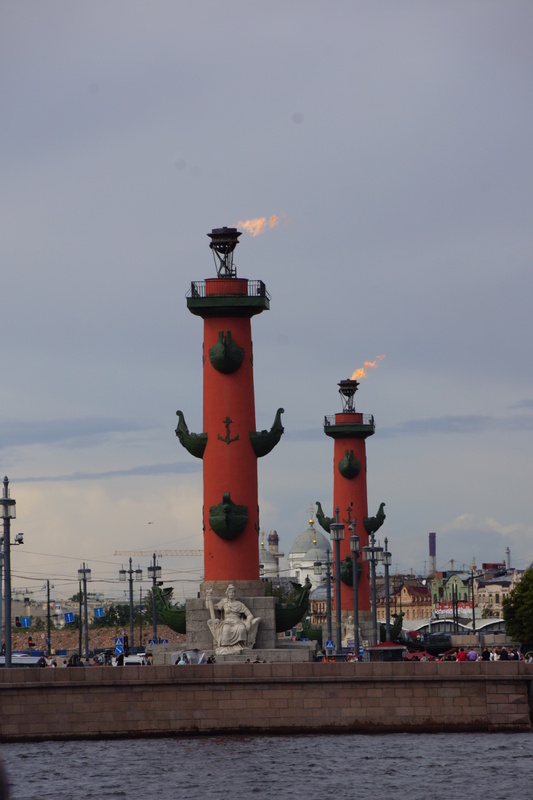 The rostral columns on the Neva river. The style originates from the Roman tradition of mounting the prows of conquored ships on columns. 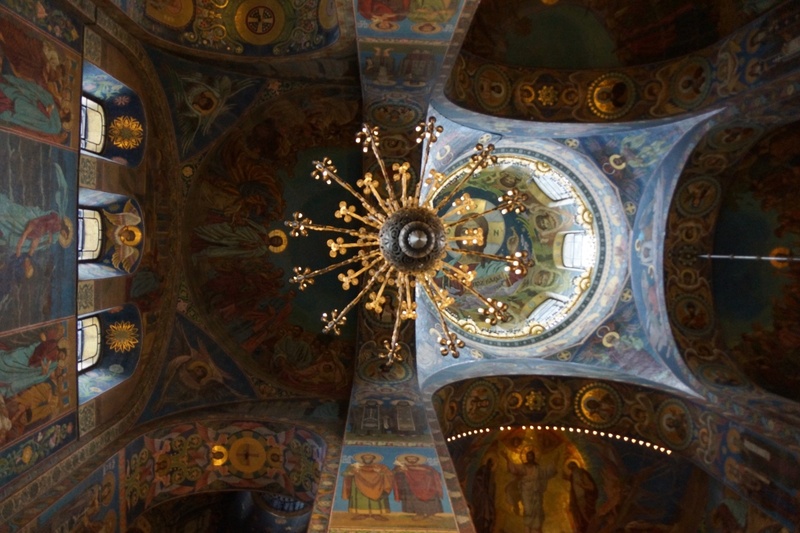 The Russian Museum has a lot of turn-of-the century pieces. It's important to keep in mind that the turn of the century was a weird time in Russian history. 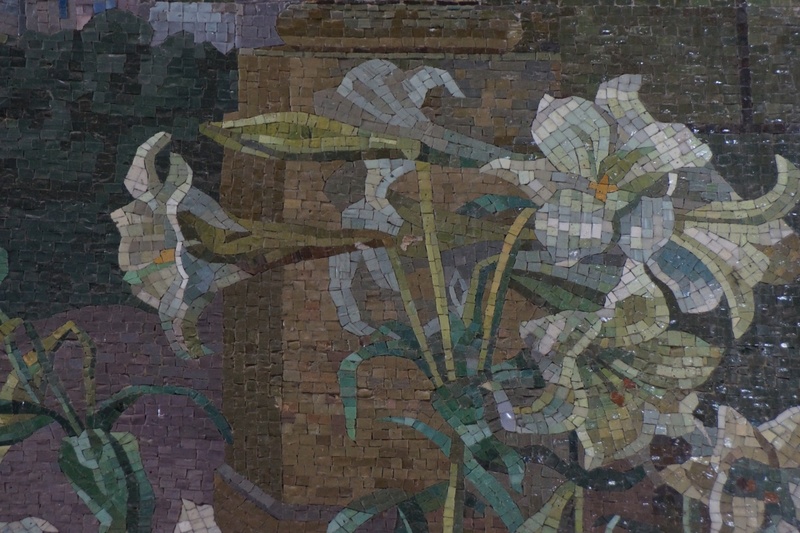 Many of the pieces have both a distinctive art-nouveau style and lots of symbols of the victory of the proletariat. 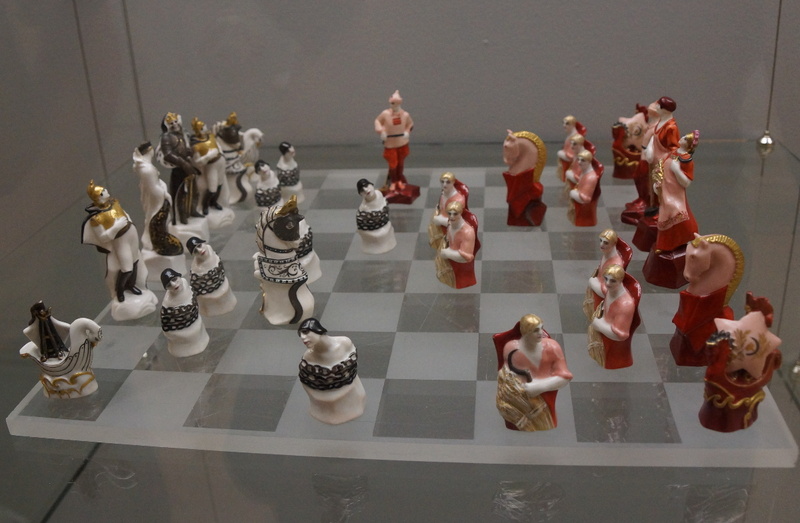 For example, here we have a chess set depicting the Black pawns in chains against the Red pawns bearing sickles. The view from our hotel's roof, after a rain shower. Want to use these photos? Click here for legal stuff and contact info.